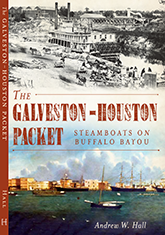 I’ll be speaking on my new book, The Galveston-Houston Packet: Steamboats on Buffalo Bayou, at the Houston History Book Fair and Symposium on November 10. It’s free and open to the public, so y’all have no excuse not to go. There will be some great presentations there by folks like my friends Ed Cotham, author of Battle on the Bay: The Civil War Struggle for Galveston and Sabine Pass: The Confederacy’s Thermopylae, and Jim Schmidt, author of the just-published Galveston and the Civil War: An Island City in the Maelstrom. It’s been a tremendous privilege to know these two men, and an honor to be included with them in this event. 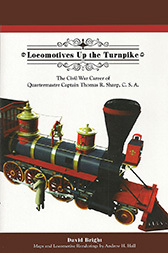 The Galveston-Houston Packet is not a Civil War book per se, but the central (and longest) chapter in it deals with the Texas Marine Department, a unique organization within the Confederacy that used chartered civilian river steamers to create a logistical support and makeshift naval force, run by civilians, but all under the command of the Confederate army. 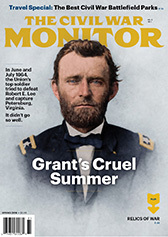 It was a strange arrangement but, as at the Battle of Galveston on New Years Day 1863, it worked better than anyone should have expected it to. More generally, the book tells the story of one of the vital early transportation routes that shaped the development of Texas. Most people imagine the settlement of the American West as signaled by the dust of the wagon train, or the whistle of a locomotive, but during the middle decades of the 19th century, though, the growth of Texas and points west centered around the 70-mile water route between Galveston and Houston. This single, vital link stood between the agricultural riches of the interior and the mercantile enterprises of the coast, with a round of operations that was as sophisticated and efficient as that of any large transport network today. At the same time, the packets on the overnight Houston-Galveston run earned a reputation as colorful as their Mississippi counterparts, complete with impromptu steamboat races, makeshift naval gunboats during the Civil War, professional gamblers and horrific accidents. The 143-page book includes endnotes, bibliography, rare photos, two original maps, and an index. It’s now available for pre-order at Amazon or Barnes & Noble at a great pre-publication price! Detail of the original Battle of Galveston map. An unidentified sternwheeler at Galveston in the 1870s, via Lawrence Jones III Collection of Texas Photography, Southern Methodist University. Sternwheeler St. Clair at the Houston landing, c. 1867, via the Houston Metropolitan Research Center/Houston Public Library/San Jacinto Museum of History. An 1850s cartoon depicting table manners aboard a steamboat. 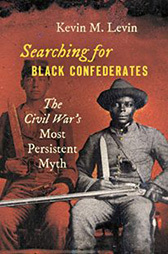 It was a fun book to research, a fun book to write, and I hope a fun and informative one to read. I hope to see some of y’all at the book fair, or one of the other events that keep popping up on the schedule! Congrats on it’s publication Andy! Thanks. I haven’t talked about it much here before now because it wasn’t until I got the publisher’s edits back a few weeks ago that it started to seem like a real thing. (It helped that Jimmy Price, of The Sable Arm, had one done by the same folks so I could read through the publisher’s mark-ups and cross-reference his book, and and start to visualize the completed volume. Congratulations on publication of your book! The illustrations you’ve chosen are splendid. (Been away for a while, and have returned to many sites insistance, like Coats’s blog, that you log in via twit and / or fb and I don’t do either of those, so work-arounds are infrequent. Thanks very much. It’s a subject that’s not even well-known here locally. Galveston has done a good job of telling its maritime story (e.g. Elissa, Texas Seaport Museum) from the perspective looking from here, out to the Gulf of Mexico and beyond. Less well told is the other side of that equation, from Galveston looking inland, especially by water, which until 1860 was the only route there was. And boy, does that matter!